In business for over 90 years, Motorex is active in research, development and production of innovative lubricants and chemicals. 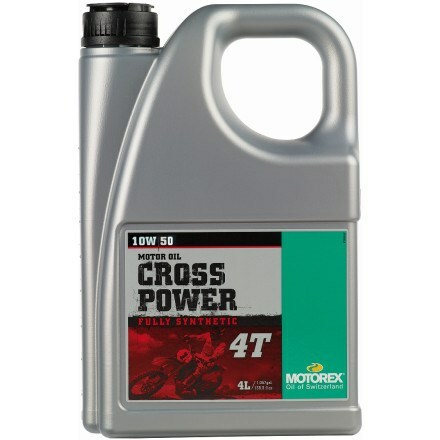 Motorex products are used by top factory race teams worldwide, by independent pros, and by top amateurs who demand the best performance from their race machines. The complete Motorex line includes a broad range of synthetic engine oils, lubricants, aerosol sprays, cleaners and care products for motorcycles and ATVs. Fully synthetic high-performance engine oil for 4-stroke off-road motorcycles. Extremely good temperature and shear stability. Optimized clutch performance according to JASO MA. Exclusively recommended by KTM for all their off-road 4-stroke models; 10W/60 viscosity is recommended in KTM 690cc and new SXF 350cc engines. Specifications: JASO MA 903:2006 / API SL, SJ, SH, SG.